TOK Сurators are pleased to invite you to an artist talk with Ştefan Constantinescu, new resident of the 4th season of Critical Mass. Ştefan is a visual artist and film director living and working in Stockholm. He works with various mediums including film, artist books and paintings approaching the political through introspection to challenge notions of identity, while working in and with issues of post-communist Romania. Constantinescu grew up in Romania during the most austere years of communism, where an ordinary day began with a queue for almost anything (bread, shampoo, gas) - days of routine. As a result his work is often strongly autobiographical. Within the work, monuments are challenged as permanent inscriptions of memory, fictional films resemble unofficial documentaries, and artist books challenge history and education. Known for his "powerful study of everyday terror" in his short film Troleibuzul 92 that was shown in the Venice Biennale 2009. In the framework of his residency in St Petersburg Ştefan will be collecting materials for a new film about young generations and youth communities. He will focus on sociopolitical context that has been crucial for shaping youth movements and the youth policy in contemporary Russia as well as explore the history of Soviet young people’s communities. At the same time, much of his research will be dealing with counter and underground culture of the 1980s when the USSR had been expecting a wave of political transformations - in St Petersburg Ştefan came across the personal archive of St Petersburg-based sculptor Pavel Ignatyev, which comprises a series of experimental 8mm films and magazines that he created with his friends, also art students. These works express a lot of personal freedom and creativity that was a certain mark of the time. Comparing the generations of young artists in the 1980s and the students who study in the same classical art academy today might be the focus of Ştefan Constantinescu new film based on the results of his residency. The artist talk of Ştefan will revolve around his residency research, complete and ongoing projects and films. He will present film series 7 Shades of Love’ , which tells about the artist fascination with the interstitial moment, the moment before or immediately after an important event in someone’s life, about raw bits of reality, micro events being dissected. These connective moments encapsulate small gestures, unobserved reactions, unnoticed needs and unperformed speech, a subtle discourse of the body that tells a lot about certain behaviour in a certain time or space. Another film, Passagen (2005), follows uprooted lives of three Chileans who were forced to leave Chile in the aftermath of the coup d’état led by Pinochet in 1973. All three ended up living under Nicolae Ceausescu’s communist dictatorship. , and In time, two of them decided to emigrate to Sweden. Through the protagonists’ shared experiences, the film highlights touches on the distinct social structures in of Chile, Romania and Sweden. 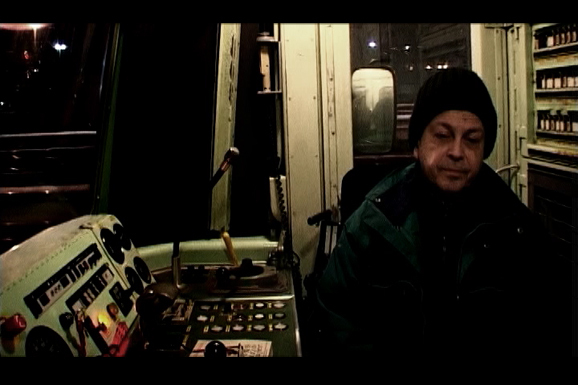 The main character, Pedro Ramires, reminisces about his years as a student in Romania and still regrets his decision to leave for Sweden: trained as an actor in Bucharest, he is currently employed as a night train watchman in between Stockholm and its periphery. 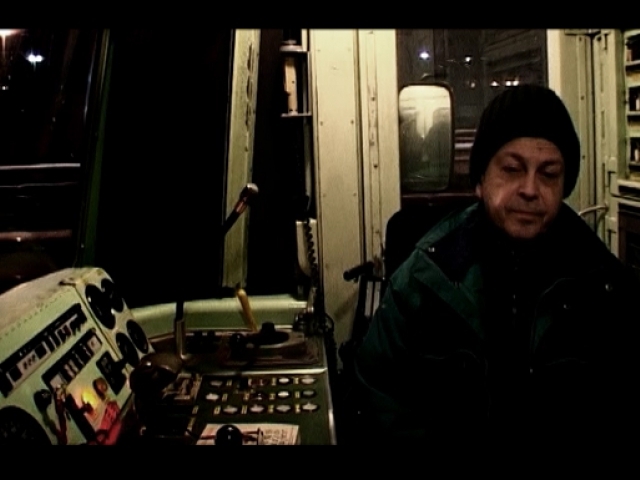 Constantinescu’s film incorporates images from Ramires’ first film, shot in Bucharest. The soundtrack features music composed by Inti Ilimani band, a symbol of the Chilean resistance, as well as Agnet Fältskog’s ‘Thanks for A Wonderful, Ordinary Day’. A film about refugees, estrangement, prejudices and loneliness, as well as about the ways in which the past reflects into the present.